Mr. Pieper is a serial tech entrepreneur and became interested in decentralized technologies in 2015, when interacting with BitTorrent, Inc. and the Mozilla Foundation. After holding various private equity and management positions within Deutsche Bank and Allianz Group, he founded and was CEO of Proximic, a global data provider for digital media buyers (acquired by comScore in 2015). He is also a mentor at Stanford’s StartX, Singularity University, and TechCode. 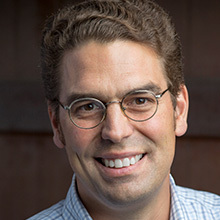 Mr. Pieper holds degrees in engineering and business administration and attended Berlin University of Technology and UC Berkeley, Haas School of Business.